A Malaysia Airlines passenger jet crashed in a rebel-controlled area of eastern Ukraine on Thursday, prompting swift accusations from Ukrainian officials that “terrorists” shot down the aircraft. The United States has concluded a missile shot down the Malaysia airlines plane, but hasn’t pinpointed who was responsible, a senior U.S. official told CNN’s Barbara Starr. The Boeing 777 with 298 people aboard fell from the sky near the town of Torez in the Donetsk region of eastern Ukraine, officials said. 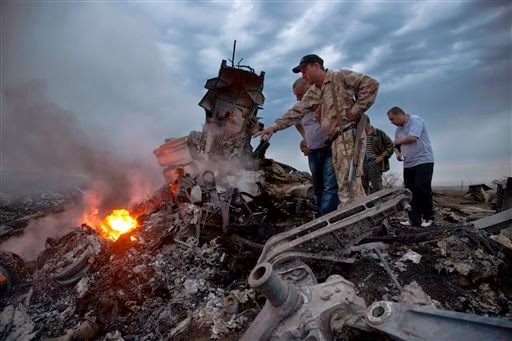 A top Ukrainian official said the plane, which was on the way from Amsterdam to Kuala Lumpur, was flying at about 10,000 meters (nearly 33,000 feet) when the missile hit.A radar system saw a surface-to-air missile system turn on and track an aircraft right before the plane went down, the senior U.S. official said. A second system saw a heat signature at the time the airliner was hit, the official said. The United States is analyzing the trajectory of the missile to try to learn where the attack came from. Malaysian Prime Minister Najib Razak said the plane never made a distress call. He called for an international team to have full access to the crash site. “We must and we will find out precisely what happened to this flight. No stone will be left unturned,” he said. “If it transpires that the plane was indeed shot down, we insist that the perpetrators must swiftly be brought to justice,” Najib said. 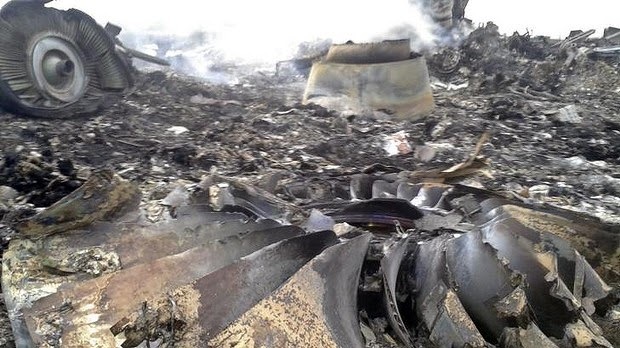 Ukrainian officials maintained that pro-Russian separatists were behind the crash, which sent the jet falling from the sky in a fireball with a trail of black smoke.Russian President Vladimir Putin said Ukraine’s military campaign against the separatists was to blame. “This tragedy would not have happened, if there had been peace on that land, or in any case, if military operations in southeastern Ukraine had not been renewed,” Putin said in televised remarks. “And without a doubt the government of the territory on which it happened bears responsibility for this frightening tragedy.” Ukraine’s state security chief accused two Russian military intelligence officers of involvement and said they must be punished for their “crime.” There were many bodies left to be found as night fell, he said, and people were trying to figure out what to do next. What next? Aviation experts cautioned against jumping to conclusions about Thursday’s crash at this early stage. 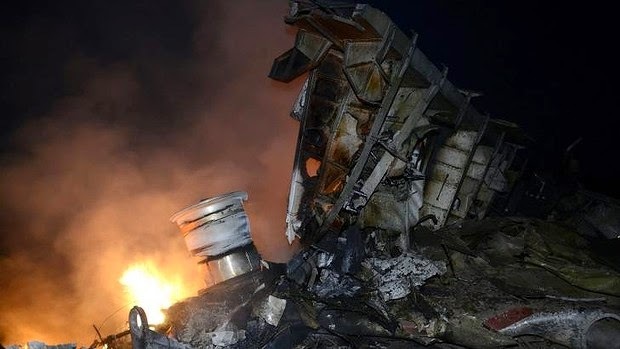 But all agreed that a massive investigation should be launched, involving parties not involved in the conflict between Ukraine and Russia, The families of people on board will demand a transparent international investigation, and so will the global community, Quest said. CNN aviation analyst and pilot Miles O’Brien said he thinks it would be difficult to mistake the plane for a military or hostile aircraft. “A civilian airliner at that level, at that flight path, would be very difficult to mistake for something that has hostile intent,” he said.